What we learned from the All Whites defeat? It may have been a disappointing result for New Zealand, but it was one most people expected. 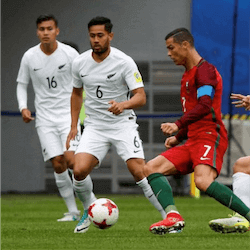 Portugal’s dispatching of the All Whites was just another step on their road to the semi-finals. While it may be the end for the All Whites at the Confederations Cup, there are a few things we can take from the game. For starters, we have to acknowledge the efforts of Stefan Marinovic. It is not often a team concedes four goals and everyone is still raving about how good the goalkeeper is. For most of the match Marinovic was under constant pressure from all sides. Instead of wilting from the pressure, he seemed to relish the encounters and really stepped up his game. When Nani was pummelling forward and looked certain to notch up another goal, Marinovic pulled off an outstanding save; certainly one of the best in the tournament. After a shaky start against Russia, Marionic seems to have found his feet, staking his claim as the best keeper for New Zealand. One thing we can say for certain is that Ronaldo lived up to his reputation. His appearance in the game was highly anticipated and he did not disappoint. His movement on the field and anticipation of forward-play was bordering on telepathic. What people don’t realise is that his work-rate is much higher than what we see on television. Ronaldo is constantly thinking ahead and is usually one step ahead of his own team and the competition. He also has exceptional close-control abilities and is devastating in the penalty area. Looking back, we can see that the All Whites developed as a team throughout the tournament. While they struggled at first to adjust to the pace of the world teams, they quickly adapted and it showed in the second half of the game against Russia. 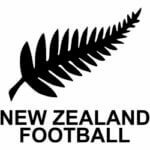 Mexico was a big game for New Zealand and one where they actually did deserve a result. Their efforts against Portugal were less convincing but they did well to limit Ronaldo to just one goal. If New Zealand do make the intercontinental playoffs in November, the side will have a much bigger challenge on their hands. The team needs to develop a more resilient defence, although the return of Winston Reid will help matters in this respect. At the moment, the All Whiles lack the defensive capabilities of their 2009-2010 counterparts.